When it comes to writing the history of a nation, the gathering of facts from the past by historians and journalists is often overlooked, turning the reality of political conjuncture and cultural heritage into an often misconstrued narrative for subsequent generations. Such is the way that prejudices are born and decades (and even centuries) of a nation’s identity can end up effaced from the global collective unconscious. A case in point of how such preconceptions lead to a partial or inaccurate understanding of a nation can be found in the perception of Brazil as being essentially a land of sun, samba, beaches and football, forgetting that it was also the birthplace of some of the most talented artists, composers and novelists of the twentieth century. For decades, and owing to successive waves of political instability caused by formal and informal dictatorships, and extremely conspicuous social inequity, Brazil’s cultural identity suffered and failed to substantiate its worth to the rest of the world. However, a new award programme that celebrates Brazil’s burgeoning artistic talent under the moniker ‘Movimento HotSpot’ is beginning to realign the interpretative gaze that the rest of the world has of this creative powerhouse. 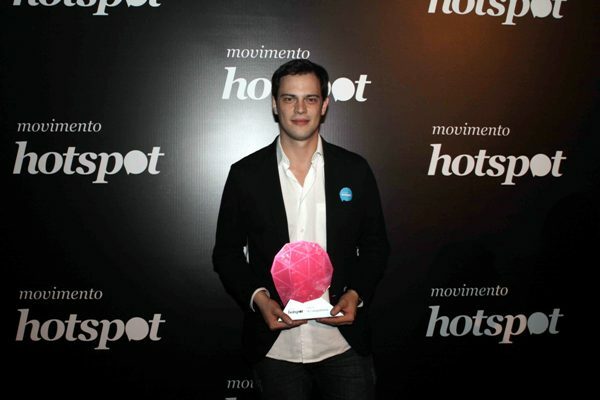 According to Paulo Borges, president of the National Institute of Fashion and Design (IN-MOD) and founder of the initiative, Movimento HotSpot was founded in March 2012 (with public funds and private sponsorship) with the intention to find and reward new creative minds in Brazil, and generate democratic platforms to showcase their talent. In a country with nearly 200 million people occupying the fifth largest national territory in the world, the ambition to remain open to all manifestations of ingenuity was resolved by running scouting events in numerous locations over a period of 16 months. This touring programme allowed 1,642 applicants the opportunity to present their ideas and fight to continue in the run by showing their worth throughout several elimination stages. 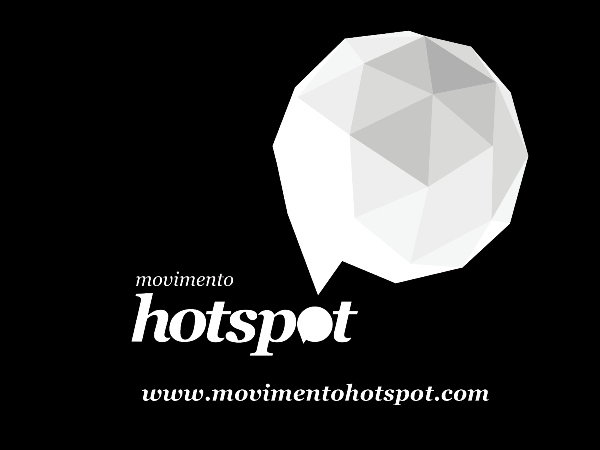 The last phase of the inaugural Movimento HotSpot was held at the University Anhembi Morumbi in São Paulo under the title ‘Idea Pool’. 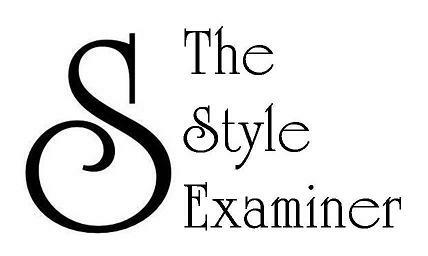 This consisted of putting the finalists through a creative immersion environment of collaboration with curators and other candidates in the 11 categories that make up the movement: Architecture, Beauty, Design, Fashion, Film, Graphic Design, Illustration, Music, Photography, Scenography and Ideas. After a thorough selection process, the winners received their individual prizes worth R$ 10,000 each at an awards ceremony held in the Memorial da América Latina in São Paulo on 31 July 2013. The Architecture award went to 28-year old Gustavo Utrabo, a graduate from the Federal University of Paraná who also studied at the University of Barcelona. After completing his degree in 2009, Utrabo returned to his native Curitiba and set up his architecture practice. Since then, his work has garnered praise by his peers and critics, and was featured in Wallpaper* magazine’s ‘Born in Brazil’ issue in May 2010. In the Fashion category, the award went to sisters Laura and Lorena Andrade Vieira who also won an investment fund worth R$ 150,000 to develop a collection that will be shown during the next São Paulo Fashion Week and become available in the 178 stores of the Riachuelo brand across Brazil. The youngest winner of the night was 17-year old Gigi Suleiman who charmed the judges in the Music category with songs that she has been composing and singing in Portuguese and in English from an early age. Manuela Marçal Yamada, a 24-year-old enrolled in the Ideas category, was the grand winner on the night, receiving R$ 200,000 to implement the recycling concepts underpinning her ‘Project Botiá’. Also chosen from the Ideas pool, Argus Caruso Saturnino received a special prize funded by WGSN that will enable him to attend the WGSN Trends Day in London and take part in this influential brainstorming event where cool hunters and scientists from around the world gather to discuss future lifestyle trends. Other winners of the scheme included Juliana Dadalto (Beauty), Lucas Loff Ferreira Leite (Design), Matheus Mayer Mombelli (Film), Daniel Coronel (Graphic Design), Marina Rebouças Martins (Illustration), Francisco Emidio Contente Pereira dos Santos (Photography), Paul Waisberg (Scenography), and Felipe Zuccoli Rezende and Andre Cruz (Ideas). 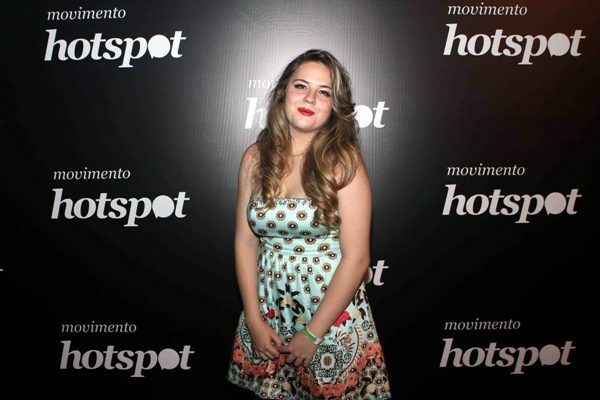 Aware of how their own creativity is born in Brazil but can be translated into practical results on a global scale, the winners of the first Movimento HotSpot are graced with possibilities beyond the prize money that fund their dreams. They are the talented makers of promising ingenuity whose work will deserve a reinterpretation of Brazil’s past and present cultural importance by many generations to come.